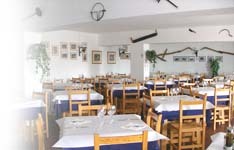 The Restaurant is open from beginning of May till end of October during the Spanish lunchtime hours. The Bar and Restaurant are open on weekends and during fiesta days from 9.00hrs until 18.00hrs. We are closed on the last two weekends of December and the first weekend in January for vacations.